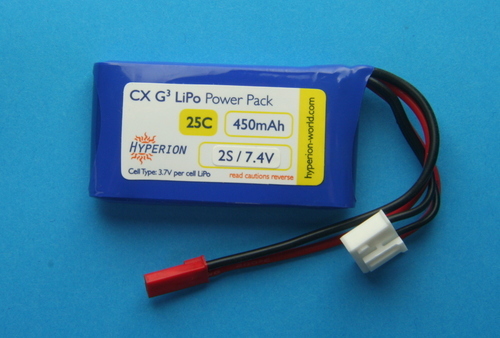 LiPo cells and batteries cannot be sent via airmail or on their own via UK post. 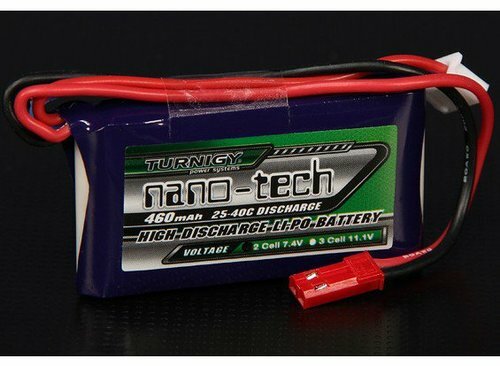 Please see LiPo Shipping for details. Molex 2mm 3 pin combined power and charge/balance plug. These are intended for model rail or other land vehicle use and have an internal PPTC fuse to limit the max discharge current (typically 2.5A). Ensure that you have selected the correct connector type for your receiver/ESC and charger. If you need an adapter, you can find one by following the connector type link. Please see the notice at the top of this page about shipping of LiPo cells. 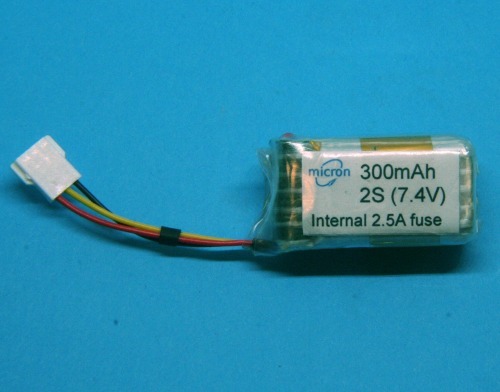 A 300mAh 2S LiPo battery with small form factor and an internal resettable 2.5A fuse. The output lead is fitted with a 3 pin Molex 2mm connector (pin 1 negative) that is used for power and balance charging. 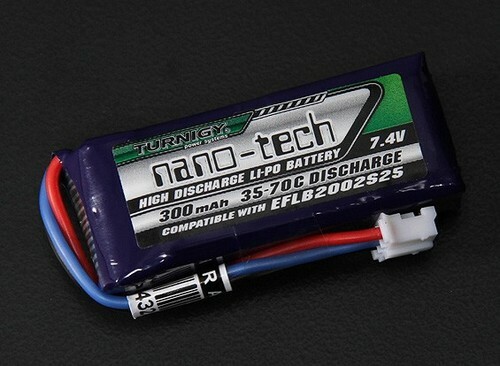 This battery is designed for use in small scale (e.g. OO) locomotive installations. 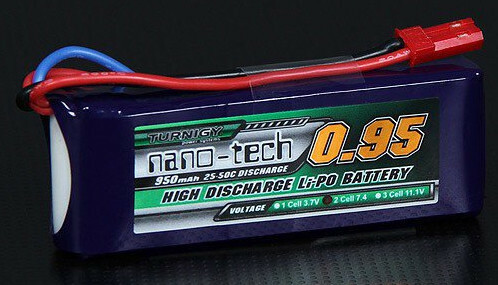 A 950mAh 25C 2S (7.4V) LiPo battery with JST-RCY power and JST-XH balance connectors. 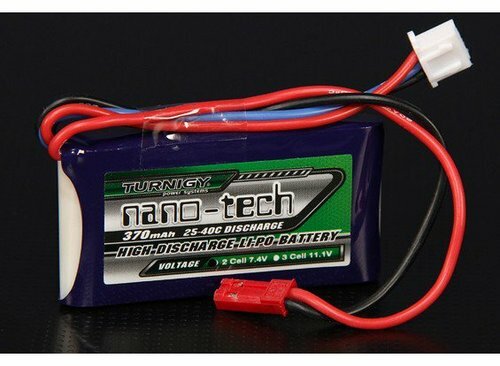 A compact sized 1800mAh 2S (7.4v) LiPo battery. XT60 connector on power lead and JST-XH charge/balance connector.